What a cute outfit!! I hope you enjoy a very Happy Birthday!!! Can't wait to see what you wear for all the festivities. Ahh! Love the sweater. I have been looking for a similar one for a long time. You styled it perfectly. I can't often comment on here (Bloglovin doesn't let you comment on pages that pop up separate from your post), but I DO read your blog every post and I LOVE your sense of style and this look is no exception. 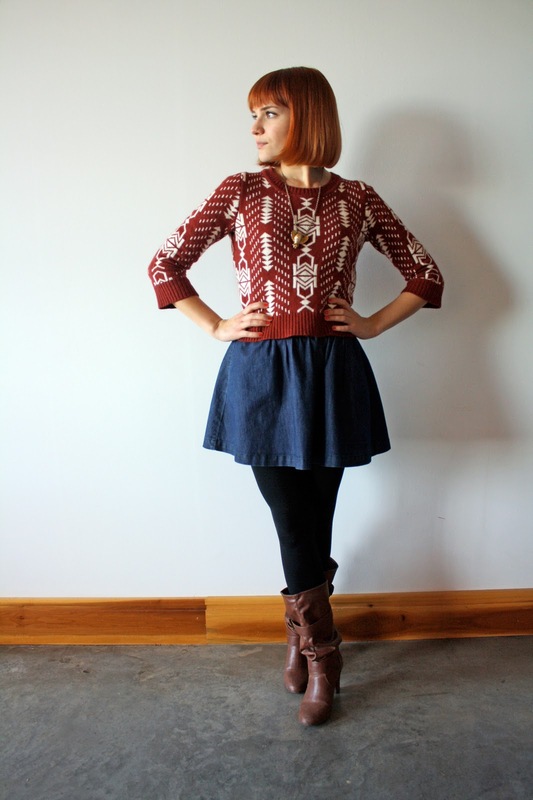 This sweater is so cute and I love the bubble skirt with the cognac boots. A VERY HAPPY, HAPPY, HAPPY BIRTHDAY!!!!!! Love this ski lodge look...super cute sweater!! I am loving these sweaters lately. I love this, the sweater is so cute, I just got a bright green one from F21 that I want to live in forever! cute sweater :) Happy, happy birthday! Hope it's a wonderful day. Have a very happy birthday! I can't wait to see your birthday outfit. Holiday/birthday outfits are one of my personal faves, for sure. I love that jumper, it works so well with the skirt too. Happy birthday for tomorrow! That sweater belongs in a 70s ski lodge. I love it! I love that sweater so much! The colors and patterns are so great. What a super cute little sweater! 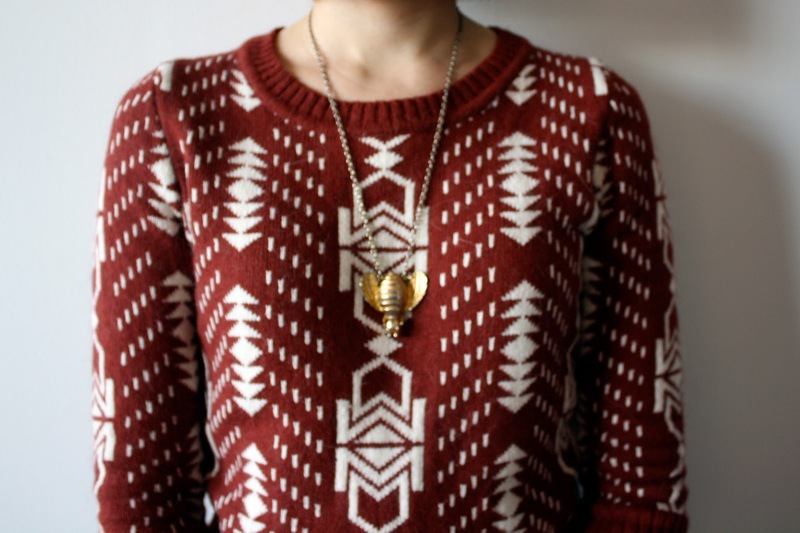 I need to pay closer attention to F21 because I am loving the fun pattern in your sweater! My last great purchase there was a chambray shirt -- great buy. That sweater is awesome! need to go to f21!